Politics and International Studies provides students with a working knowledge of society and how decisions are made. Governments, politicians, leaders in private industry and ordinary individuals function within a framework of accepted political norms, e.g. notions of justice, freedom, rights and duties. Over time, these received norms are challenged by conventional methods such as voting, political parties, interest group lobbying and protest movements; or the challenge may be by militant, revolutionary or terrorist means. Politics and International Studies systematically examines and presents these phenomena. Knowing the political system increases one’s capacity for choice. Therefore, a knowledge of Canadian, provincial or local politics presents the student with greater opportunities and advantages within his or her society. Political Studies also explores other political systems, e.g. the American presidential system, the European Union, communist and post-communist political systems and the impact of the new states on the emerging political economy of a new international order. The discipline allows for a critical evaluation of society and its institutions through a study of the history of political theory; in addition, the student may engage in a problem solving approach through empirical policy research using survey methods. The International Studies programs provide students with a broad base of knowledge of the global community in which they live, along with more advanced study and experience in global affairs. The programs consist of an integrated group of courses reflecting international aspects from cultural, economic, environmental, legal, political and social perspectives. Foreign language training and study abroad experiences are also incorporated into the programs. The International Studies program is designed to be taken through one of two different concentrations: Global Governance or Global Culture. 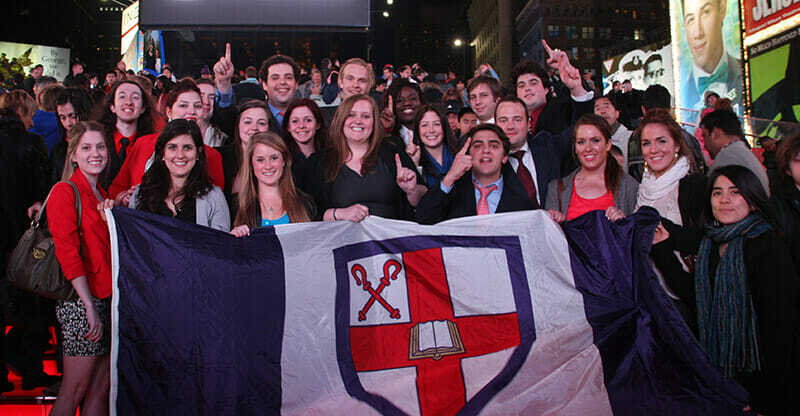 Why study Politics and International Studies at Bishop’s? 87.7% found the quality of education very good to excellent. 85.1% found the experience outside the classroom very good to excellent. 89.1% found the course curriculum well designed. 89.1% of graduates are employed. 28.3% of Bishop’s graduates go on to do Graduate Studies. Our graduates are employed in all sorts of interesting and, above all, challenging jobs. They are employed in urban affairs and planning, in journalism, financial management, government, including external affairs, and in teaching in colleges and universities in Canada and abroad. They are also engaged in teaching English as a second language in South Korea and Japan. In addition, they are employed in non-governmental organizations as policy analysts, working for a diverse range of organizations including interest groups, think-tanks, and even banks and large firms. Others are employed in management recruitment, insurance management, business-government consulting, communications consulting and even in consulting on security especially on terrorism. Still others are self-employed in small but profitable businesses and at least two of these businesses are located right here in Lennoxville. Think of the vast range of possibilities! It even surprises us. For example, a vice-president of Chrysler Canada (a Bishop’s graduate) recently informed us that he would certainly employ, students such as ours, in his multinational corporation. He means what he says. His own son is enrolled in the Politics and International Studies programme at Bishop’s and he claims that his corporation will need employees, educated as well as we will educate his son, once they graduate. If you ask “What can I do with a Politics and International Studies degree?” Have a good look at the career guide prepared for the Canadian Political Science Association, Careers for Political Scientists, by Professor Leslie Pal.